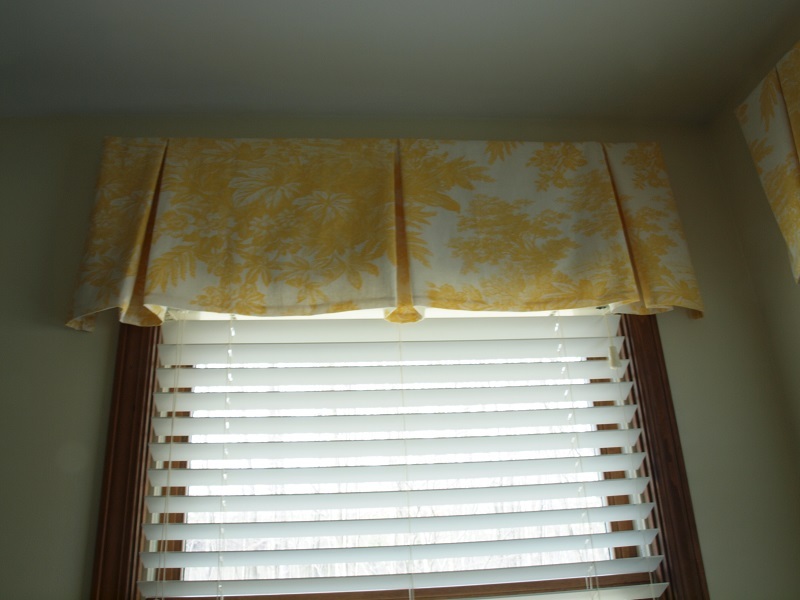 Wooden Blinds with Valance from Blinds and Shades Portfolio - Sew What? Sew Anything! This Sew What? Sew Anything! client had a major problem in her bathroom. She had roman shades made for her windows but because they were located over a Jacuzzi tub they were really hard to raise and lower. Wooden blinds with valance were the design solution for this bathroom. Faux wooden shades were suggested to cover the windows for privacy. The blinds were easy to manage, offering privacy with just an easy tilt of the blinds. Not wanting to waste the lovely fabric in the roman shades, we remade the shades into a box pleated valance to hang over the wooden blinds. The client still got to enjoy the beautiful material used in a window treatment for the room, and have her privacy.